Telefónica, in partnership with NEC, is kicking off the first field trial of virtualized customer premise equipment (CPE) in Brazil. The trial, which gets underway this month, aims to simplify the home equipment installation process by virtualising and moving functions from the equipment installed in the customer's home to Telefónica's network. The solution, based on a prototype developed by Telefónica I+D, with contributions and integration by NEC, enables certain IP functions to be shifted away from the residential gateways (the equipment installed in the customer's home) towards the carrier's own network. As a result, end users will experience rapid service deployment and improved network operation and maintenance benefits. 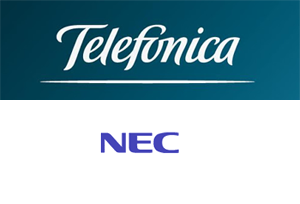 Telefónica and NEC will be conducting a series of field trials in Brazil, where Telefónica provides broadband access services to millions of homes and businesses with the objective of having a solution ready for deployment by July of 2014. "NEC is a leader in SDN and NFV solution development, having provided the world's first commercial SDN product," said Mr Kazuya Hashimoto, Executive Vice-president, Carrier Solutions EMEA, NEC Europe. "NEC's vCPE solution provides an open and flexible networking topology that simplifies network management, proactively addresses performance and contributes towards the high availability of Telefónica's services." "Telefónica sees the implementation of SDN and NFV technologies as a factor of our network infrastructure development strategy," said Mr Enrique Algaba, Director of Network Innovation at Telefónica I+D ? Global CTO Unit. "We expect this pilot scheme will help us prove the viability of this technology and enable us to implement rollouts in a more flexible and reliable way coupled with low operating costs." IBM has been granted a key U.S. patent for dynamically managing network bandwidth within a cloud, which could lead to significant improvements in overall system performance, efficiency and economy. The patent (U.S. #8,352,953: Dynamically Provisioning Virtual Machines) -- provides a method for automatically deciding the best way for users to access a cloud computing system based on availability of network bandwidth. IBM's innovation allows the system to automatically and dynamically reassign work from one system node to another based on networking bandwidth requirements and availability, ensuring that the system and VMs can run efficiently. Specifically, the invention "calls for network resource management to be completed using software to obtain data from the management information database of the network switch to determine the amount of bandwidth being used by each IP address assigned to each VM within the compute node. As network bandwidth rises and becomes constrained in one node, the system will automatically reassign some of the VMs to another node with network bandwidth capacity available. " IBM said dynamic provisioning of network bandwidth across a cloud computing system provides the foundation for Software Defined Networking, which is defined as requiring dynamic management of network resources through automated programs. "Today's consumers using all kinds of devices expect their apps and Web experience to always work -- they have zero tolerance for network bandwidth bottlenecks,” said Ed Suffern, IBM systems engineer and the lead inventor on the patent. 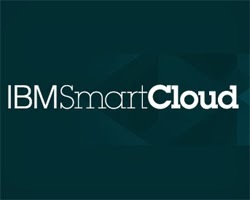 “IBM's patented dynamic provisioning invention will help cloud service providers increase network performance and improve customer satisfaction." Amazon Web Services (AWS) is now offering a package of resources for start-ups, including AWS credits, training, developer support, a special start-up community forum and special offers from third parties. The company said the goal of its AWS Activate bundles is to enable start-ups to get started with AWS and successfully use the AWS platform to help grow their businesses. AWS Activate is organized into two packages - a self-starter package, which any start-up can apply for, and a portfolio package, which can be applied for by start-ups in select accelerator, incubator, venture capital seed funds or entrepreneur organizations. Each package includes varied levels of resources to help fit customers' needs. Start-ups receiving either package get access to the Start-up Forum, where AWS experts and other start-up customers can share best practices. The Start-up Forum gives start-ups a way to learn from and interact with a community of peers building world-changing apps on AWS. In addition, start-ups accepted into AWS Activate may have access to special offers, such as product discounts, from select third-party companies in the AWS ecosystem, providing start-ups with additional valuable technologies and tools. Nokia Solutions and Networks continues to build it advanced Customer Experience Management (CEM) capabilities, which help mobile operators understand what is happening on their networks from the subscriber perspective and take proactive measures to build customer loyalty. Prepare for CEM: Helps operators understand and prepare for specific applications of CEM to meet their needs. The services evaluate the best ways to use CEM, enable decision-making, assess required changes to existing processes, and model the targeted quality of experience. Integrate CEM: Helps operators customize and integrate CEM into their existing processes. Use CEM: Enables operators to act on customer insights and transform to experience-driven operations. NSN is extending its portfolio with a CEM on Demand content pack to drill down into trends and identify business opportunities with over-the-top (OTT) services. NSN’s new Big Data CEM engine has a unique telco-specific data-processing architecture that helps provide rapid insight into the customer experience. NSN is also extending CEM on Demand with a new content pack that focuses on fresh marketing opportunities by monitoring and analyzing how people are using OTT services in mobile networks. With detailed insight on the devices used, adoption rates, data volumes and other trends, mobile operators can identify business opportunities from partnering with an OTT provider or creating a competitive offer. T-Mobile US announced unlimited global data at no extra charge in 100+ countries, effectively ending its international roaming charges. In effect, T-Mobile is expanding the home data coverage for most of its U.S. customers on the Simple Choice plan so as to include more than 100 countries, at no extra charge. The company said that, Starting Oct. 31, these Simple Choice individual and business customers automatically get unlimited data and texting in more than 100 Simple Global countries worldwide, and they will pay a global flat rate of 20 cents per minute for voice calls when roaming in the same countries. The company announced tonight its new Stateside International Talk & Text feature for discounted calling and texting from the U.S. to all Simple Global countries. Customers never pay more than 20 cents a minute to any number in any Simple Global country, including mobile to mobile. Calls to landlines in more than 70 of these countries are unlimited and included at no extra cost. Unlimited texting is also included to all countries. Stateside International Talk & Text is available to most Simple Choice customers for $10 a month. 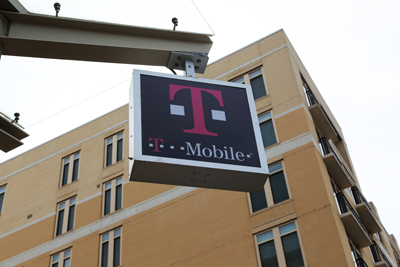 T-Mobile also announced that its 4G LTE network now reaches over 200 million people in 233 metros across the United States. T-Mobile has signed international singer, songwriter and Grammy Award-winning music icon, Shakira, for a multiyear contract. Shakira and T-Mobile officially kicked off the partnership with an event in New York's Bryant Park, where Shakira performed to an estimated crowd of 7,500 people, celebrating T-Mobile's announcement that it is offering unlimited global data and texting in over 100 countries to qualifying Simple Choice customers at no extra charge. T-Mobile said it will work with Shakira to promote and market her upcoming single and album releases, and to create and distribute unique content. Oclaro agreed to sell its Amplifier and Micro-Optics business (the Business) to II-VI Incorporated for $88.6 million. The deal includes intellectual property, inventory and equipment. II-VI will also hire approximately 145 employees of Oclaro, primarily located in Horseheads, NY, San Jose, CA and Shanghai, China. Revenues for the Business were approximately $94 million for the fiscal year ended June 29, 2013. 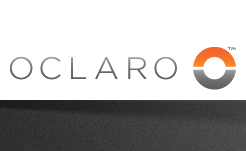 "The sale of our amplifier business to II-VI is another important milestone in Oclaro's reinvention and return to financial stability," said Greg Dougherty, Oclaro CEO. "This transaction is another validation of the value of our technology, intellectual property and, most importantly, our people. The infusion of cash from our recent transactions with II-VI are critical catalysts to further our restructuring and turnaround plans." Separately, Oclaro announced that its chief financial officer, Jerry Turin, plans to resign from Oclaro on November 8, 2013, to pursue other opportunities. The company expects to name Mr. Turin's successor on or before November 8. 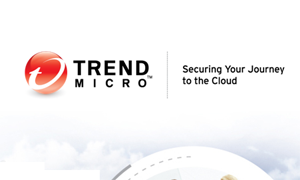 Trend Micro has acquired Broadweb, a Taiwan-based provider of advanced network security solutions, for an undisclosed sum. Broadweb offers a branded network security service in Asia that provides deep packet inspection and real-time blocking of malicious packets. "As attacks evolve, conventional network security is no longer sufficient to keep digitized data, intellectual property and communications safe," said Kevin Simzer, senior vice president, marketing and business development, Trend Micro. "Our Custom Defense solution is unlike anything on the market. It enables organizations to detect, analyze, adapt and respond to targeted attacks and advanced threats. Integrating Broadweb's proven capabilities into our Custom Defense Solution enhances our ability to provide customers with the most comprehensive solution for targeted attacks available today." GreenWave Reality, a start-up based in Irvine, California, raised $19 million in Series B funding to accelerate the rollout of its Home2Cloud platform through its global partners and scale up the company's operations. GreenWave's Home2Cloud platform allows consumers to connect and manage all of their "things" that are or will be connected to the Internet such as smartphones, TVs, routers and smart appliances enabling them to access rich cloud based applications and services. GreenWave is working with service providers and utility companies to enable an optimized in-home consumer experience delivering personalized information and entertainment, enhanced comfort and savings with leading cloud-based services. The new funding was led by The Westly Group including follow-on investment from Craton Equity Partners. The company has raised $31 million to date. "Today's consumers are overwhelmed with technology. Therefore, they want easy-to-use products that help them live smarter, healthier and more efficient lives," said Greg Memo, CEO of GreenWave Reality. "Our Home2Cloud platform securely and intelligently connects these smart devices to the Internet, unlocking new applications that will greatly enhance consumers' lives so they will better benefit from all the technology around them. Securing this new funding, and gaining the experience of Steve Westly on the GreenWave board, will allow us to accelerate our rollouts with service provider and utility partners who are deploying innovative products and services based on our Home2Cloud platform." WD introduced its new WD Sentinel DS5100 and WD Sentinel DS6100 (S-series) ultra-compact network storage plus servers based on high-performance Intel Xeon processors and pre-installed with Windows Server 2012 R2 Essentials. The 4-bay Sentinel servers feature WD enterprise-class hard drives for up to 16 TB of raw storage. Additionally, unlike traditional NAS systems, the WD Sentinel S-series allows small businesses to run line-of-business applications on their network storage platform. 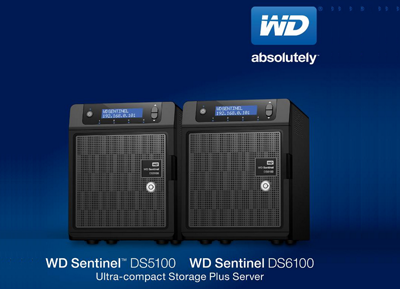 Five models of WD Sentinel S-series appliances are available. MSRP starts at $2,560.00 USD for the WD Sentinel DS5100 4 TB network storage plus server.